On September 20th, the 2018 Beijing International Design Week Design Expo was officially opened at the Beijing Agricultural Exhibition Center, which was co-sponsored by LKK Innovation Group (hereinafter referred to as “LKK”) and LKKER (LKKER) sharing design platform. Once the exhibition was launched, it attracted a large number of people and became a focus of attention. At the same time, LKKER sharing design platform, as the strategic partner of this Beijing International Design Week, undertook the "2018 Network Beijing International Design Week" overall content. The LKK LKKER 2018 Xspecies Design Exhibition was officially opened on September 21st at Hall 3 of the Beijing Agricultural Exhibition Center. The exhibition lasted until September 25. The new upgraded theme for the exhibition was "Design a beautiful world", the content focused on "food, live, travel, play", each section had "future travel", "smart life", "unmanned retail”, “Crowd create interaction” and “Seeking new species” etc,. An integrated immersive experience, game interaction, and illusion space for Innovative design works, smart technology products, creating a “five senses” experience of “design + technology” for participants. On the first day of the public open day on September 21, a variety of “new species” products full of technology and futuristic focus were on display at the exhibition site. The Trouve electric motorcycle, which was exhibited in parts, and a Rokid “voice-activated” RV, which was transformed into a “future space capsule”, the Higgs robot, which attracted many audiences in the pavilion...all of them interpret the new experience brought by “design + technology”. In addition, there were many Xspecies appearing on the scene. The Topstar six-axis robotic arm 3C industry's small-load robots were performing at the entrance. It is like a smart bionic arm, although it is an industrial-grade application but has a sense of entertainment of a technological device. Hangzhou Jiye Disinfecting Robot has technology with low-profile appearance but superior ability. It is based on the Venturi principle to produce a dry mist that is invisible to the naked eye to create brown motion in the space, adhere to the surface of the microorganism and destroy its cell wall to achieve complete sterilization. Segway "Lu Meng" robot is not only a travel tool but also an emotional companion. Lu Meng has a recording function, and is able to travel in multiple modes; the high-level automatic driving computing platform Matrix 1.0 from artificial intelligence company Horizon released based on the journey 2.0 processor architecture is the automatic driving solution for L3/L4; Sense Technology's 10.00 blockchain mobile phone configuration blockchain technology enables mobile phones to gradually become nodes of distributed computing and storage, form a new value transmission network, and gradually realize decentralized storage and computing capabilities; Mavericks electric, Lejia technology carrobot HUD display, Xiaomi smart voice phone holder, Chelunyouping car wireless charging series, Zhending car fire extinguisher, ThinkRider Zhiqi smart real-life riding platform all were involved in the exhibition with their innovative points for future travel scenarios. It is Jiuyang’s unremitting pursuit to create Chinese-made goods that belong to the Chinese people and let the Chinese people like to use the kitchen appliances made by the national enterprises. It can be said that the innovative DNA has been deeply integrated into the blood of every Jiuyang employees, as advocated by the Xspecies Design Exhibition - "Change Genes in Reconstruction". How much imagination can a glass house hold? “It’s as warm and comfortable as sleeping on a bird feather” has always been the original inspiration of the LKK design team to design the Moss V6. On the scene, the audience could interact intelligently with the “bed” and call the Little V to control the activities in the bedroom, so that the audience can deeply feel the tremendous changes brought by technology to the bedroom space. In addition, the LKK design team has completely defined the full-scenario experience process of the Moss V6, creating a smart experience system for new product, new service and pioneering vision in the new consumer era. There were still many “new species” products like this at the LKK LKKER 2018 Xspecies Design Exhibition. For example, the Chicbus that created a new retail scene, enhanced the quality of life with future technology, integrated humanistic feelings with the overall in-store design, and gave the best solution to achieve quality of life; for example, the Xiaodu that appeared in the “smart life” space, integrated with the ability of Baidu's conversational artificial intelligence operating system DuerOS, calling "Xiaodu" can easily wake up the system; the TV smart hardware created by LKK (Shanghai) team and Mango TV - Milkbox also appeared in the "smart life" space, striving to obtain both function and appearance. On the Xspecies continent, Xspecies born of imagination are rapidly multiplying, reorganizing human brain structures from multiple dimensions such as clothing, food, housing, travel and play. At the scene of the “Xspecies Design Exhibition”, fun was another highlight besides the good show. The interactive experience points throughout the museum attracted audiences to take pictures, and the doll machines and game consoles were everywhere generated a lot of traffic. 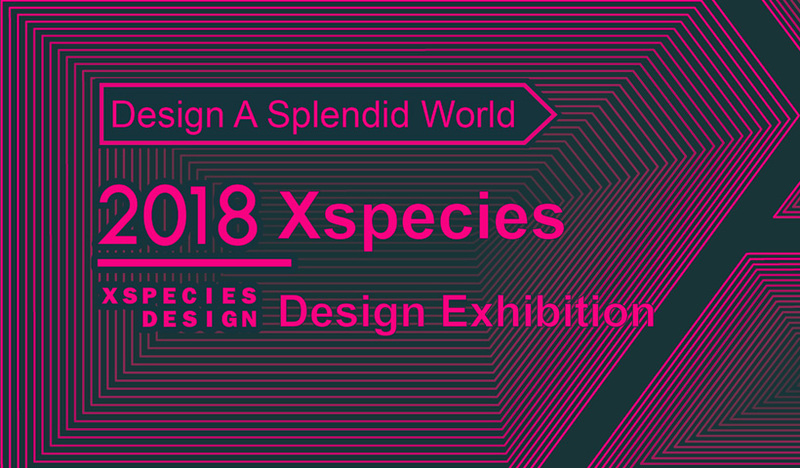 "2018 Xspecies Design Exhibition" was in line with the entertainment nature of young people. When watching and playing games at the same time, the "guide map" was like a treasure map. The audience participated at the interaction point, and the stamp was exchanged for the doll machine game coins to get merchandizes of innovative products. 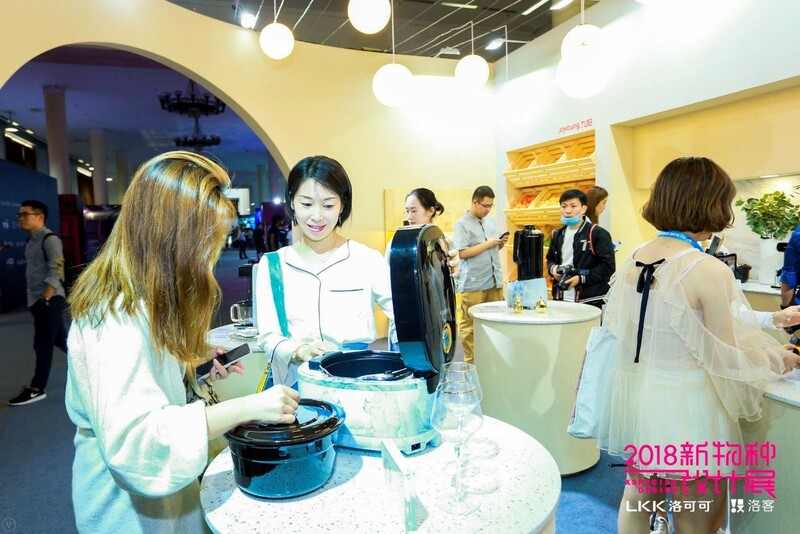 In addition, you could participate in the interactive HiAR G100 AR glasses, virtual vision VR landscape, Kaidishi Aibiao darts machine, Yunshangsheji, Baibianxiaoqiang programming toy robot, the audience could finish the experience with desserts - "ICE Machine Man" ice cream made fresh on the spot. In addition, there were many creative sites throughout the exhibition area, and dozens of online creative tasks were published on LKKER shared design platform. The audience could participate offline by scanning QR code to become a true Xspecies creator. Jii, Tussah, Himalayan, Cantaloupe, Tan Carpenter and other brands appeared in the "Brain Cave Research Institute" space, and cooperated with LKKER across the field to break the boundaries of art, technology and creativity. Most of the products designed for this exhibition were from LKK. As an pioneer in the industrial design industry, LKK always feels the change in various industries before the market, including the innovation needs of high-tech industries and the transformation and upgrading needs of traditional industries. LKK is at the forefront of the intersection of enterprises and the times, with innovative design and evolution requirements from the changes in the era. From September 21st, there have been three keynote speeches and new product launches. On the 21st, it focused on the “Design Innovation and Entrepreneurship Forum”; on the 22nd, it focused on the application of artificial intelligence, such as smart cockpit, smart voice, robot, etc. On the 23rd, discussed innovations based on future new retail scenarios. The forum has deep sharing from many industry expertise, including important guests including Wang Yidong, deputy director of the Beijing Design Week Organizing Committee Office, professor of the Central Academy of Fine Arts, PHD adviser Wang Min, LKK LKKER Innovation Design Group President Li Yichao, LKK LKKER Innovation Design Chairman of the group, LKKER shared the design platform founder Jia Wei. The 2018 Design Expo was one of the components of this year's Beijing International Design Week and one of the most anticipated highlights of many events. The theme of this year's Design Expo was “Honor to Life”, which covered all aspects of “clothing, food, housing, transportation and use” of people's lives. It integrated “innovation, vision, experience and negotiation” and met people’s demand for a better life with innovative design. The fair consisted of five themed exhibitions and a special parallel exhibition. 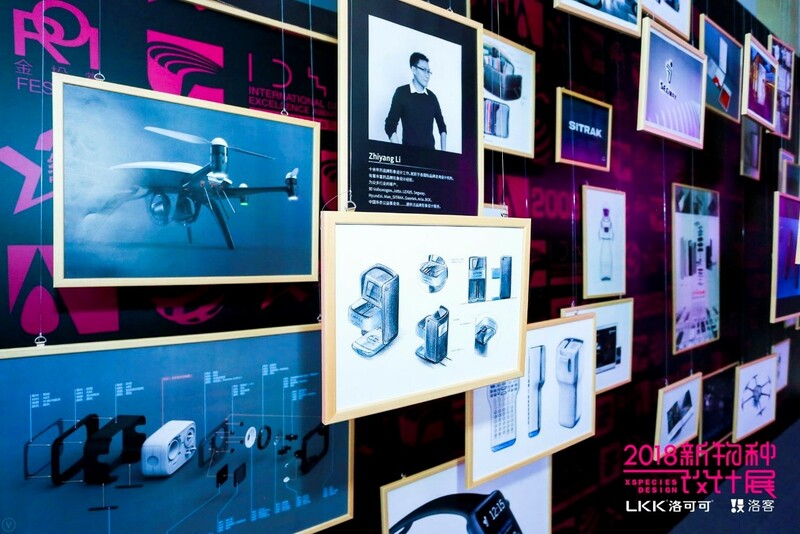 Among them, the interactive design form which was full of the creative and pioneering spirit "Xspecies Design Exhibition” was the second attempt of LKK LKKER in Beijing International Design Week. 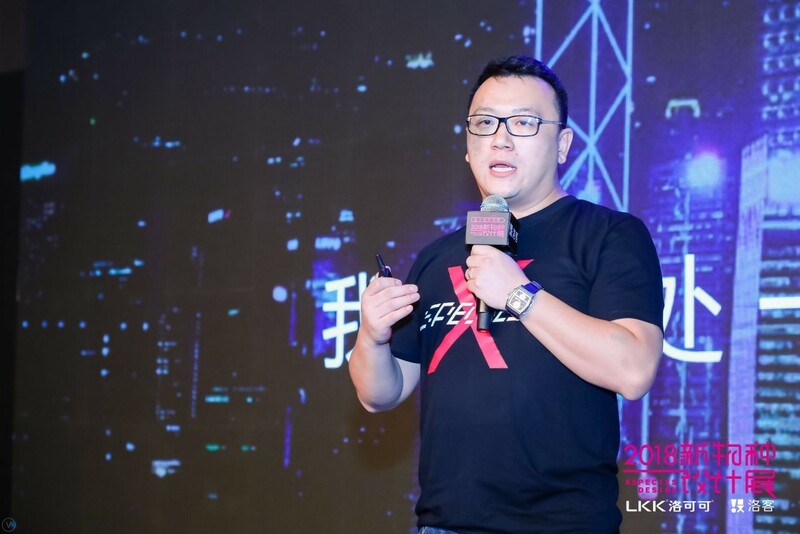 The exhibition lasted until September 25th, and LKK LKKER hoped to convey the concept of “Designing a Beautiful World” to every visitor through the series of activities of “Xspecies Design Exhibition”, and hoped to design and serve more companies, together to foresee a beautiful world.